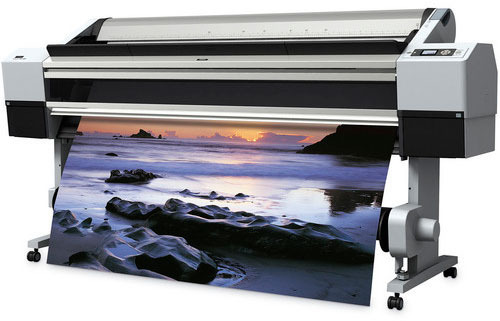 At Sarnoff Art we offer the world’s most advanced 64-inch wide, photographic printer. 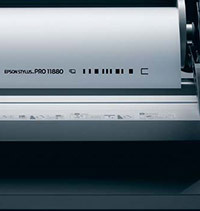 The Epson Stylus Pro 11880 represents the ultimate expression of Epson Stylus Pro printer engineering. 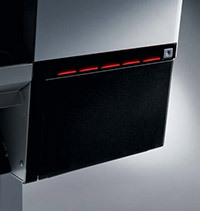 Produced by a small team of specialists, each printer is scrutinized. 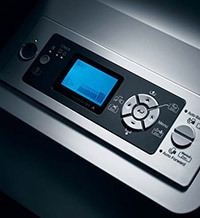 And, each incorporates the latest technologies, including an innovative, new MicroPiezo® TFP™ print head, real-time automatic switching between Matte and Photo Black inks, automatic nozzle verification and cleaning, and more. The result is the world’s most advanced 64-inch wide, photographic printer. Epson UltraChrome™ K3 Ink is the standard by which all other professional-level ink technologies are measured. 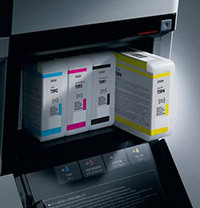 Now enhanced with the groundbreaking Vivid Magenta pigments, the newest generation of ink technology requires only eight colors, including a three-level Black technology, to significantly raise the level of quality for professional color and black-and-white prints. The world’s highest resolution piezo ink jet print head with 360 nozzles per inch.A Quite possibly the most advanced ink jet print head ever manufactured. Extreme color gamut especially within the blue and purple ranges. Improves overall black density for significantly richer blacks. Large 2.5" backlit LCD panel for superior direct printer control and operational status. 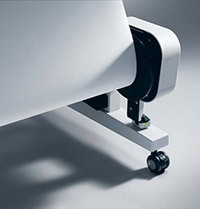 True 64-inch wide roll-to-roll unattended printing capability. System can automatically de-curl media using both forward and backward take-up modes. 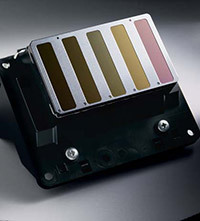 Nine individual amber LEDs are used to identify ink status to print engine activity. Extremely visible from long distances for larger printing shops and studios. System automatically tracks media type, remaining length, media width, etc. Reloading partially used media rolls are now very efficient with less chance for mistakes.